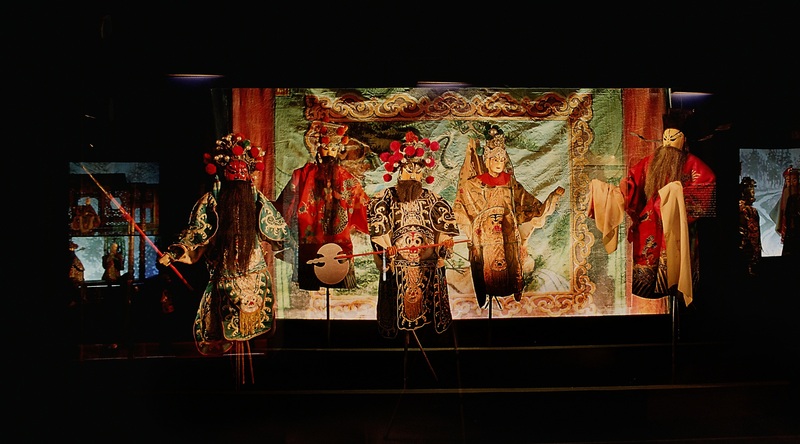 Two exhibitions are created from the same collection dealing with the culture of puppet theatre and shadow theatre in China. 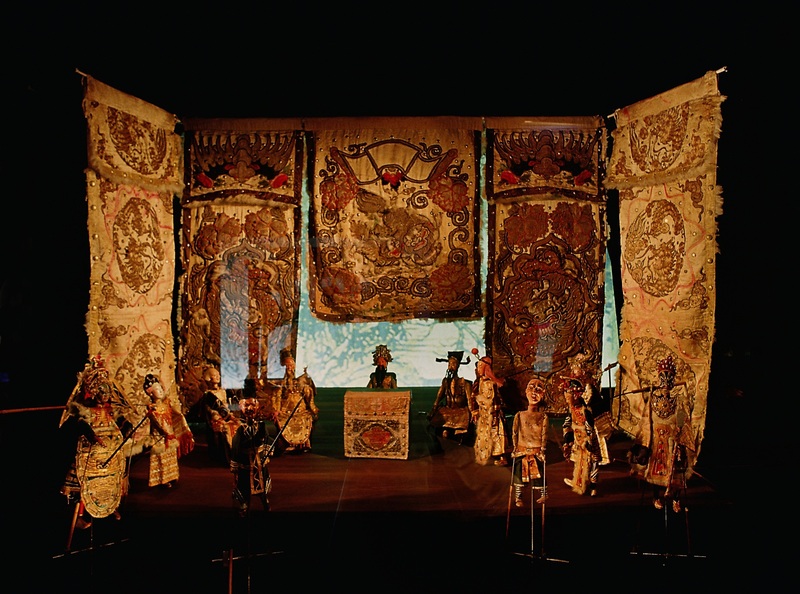 A review of the different typologies of theatre and puppet shows, as well as the legendary stories they tended to represent. This collection was originally assembled, and later expanded, by a French couple during their travels and studies in China. It was originally composed of 7,000 pieces and ended up growing to 14,000. 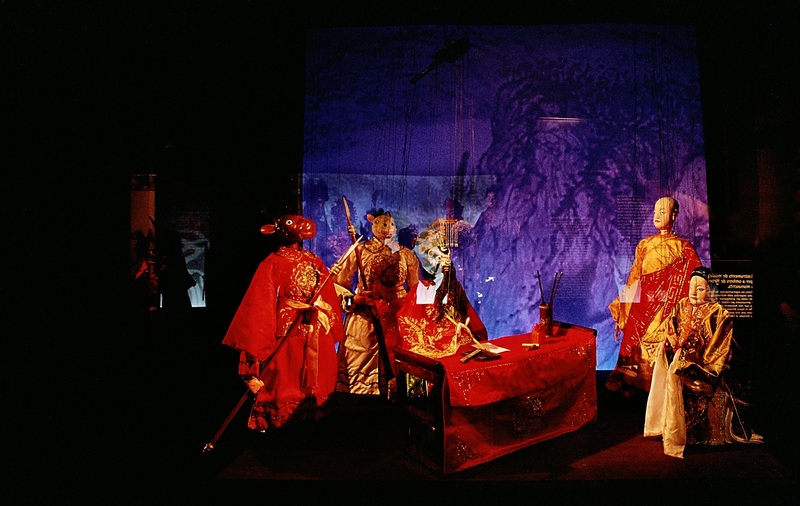 It gave rise to two exhibitions: one dedicated exclusively to shadow theatre; another focused on Chinese puppet theatre and all the different types of puppets used. This is an example of how a single permanent collection can give rise to a number of different narratives if one explores the possible relationships it contains. 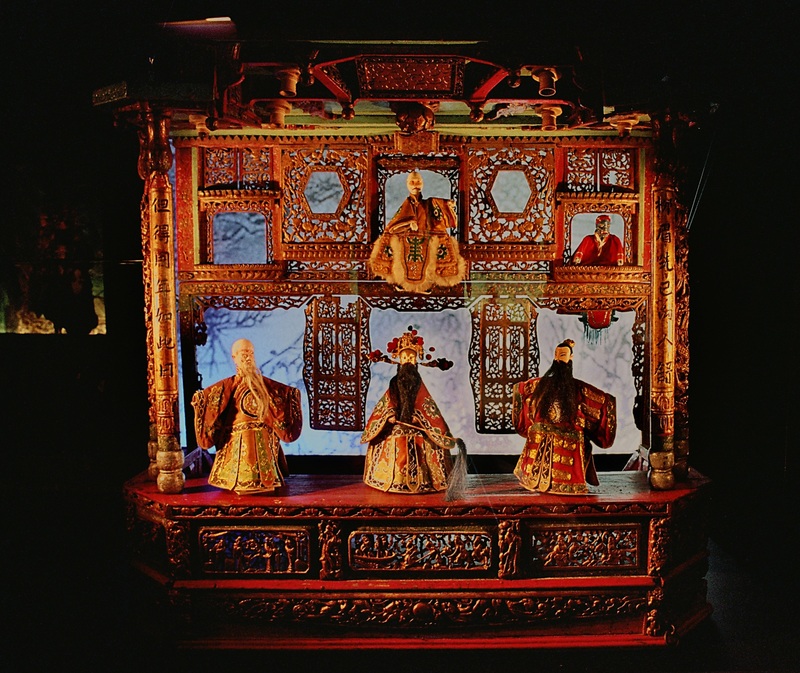 “Journey to the World of Shadows” explained the tradition of shadow theatre in the East, across various countries and civilizations. It focused particularly on the epic tales of the Mahabharata and the Ramayana, which are part of classical Hindu literature. The pieces were arranged against light boxes, emulating the way they were used traditionally. 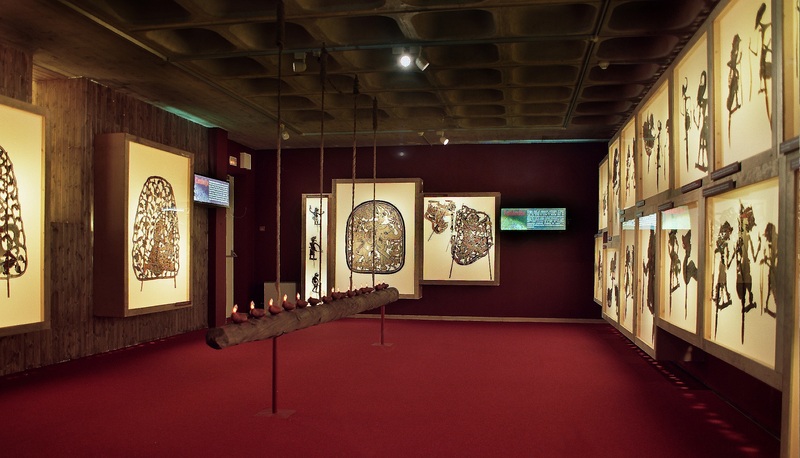 Both exhibitions were composed of a large number of pieces that had to be ordered into a discourse that would make sense, while revealing the complexity of the work. 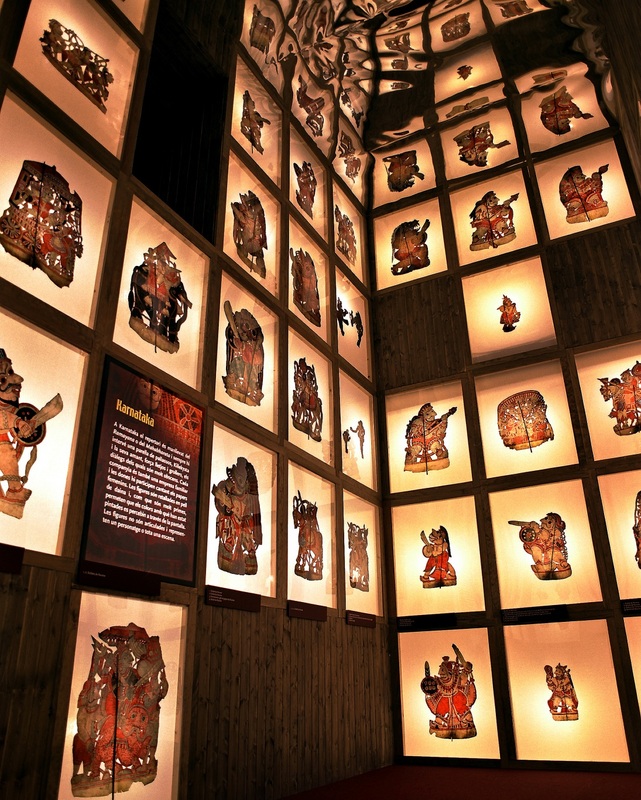 The exhibition “Heroes and Gods” focused exclusively on Chinese culture and was divided into two parts: the first was dedicated to the different types of puppet (rod puppets, glove puppets, string puppets, etc. ), while the second delved into the stories that were told. 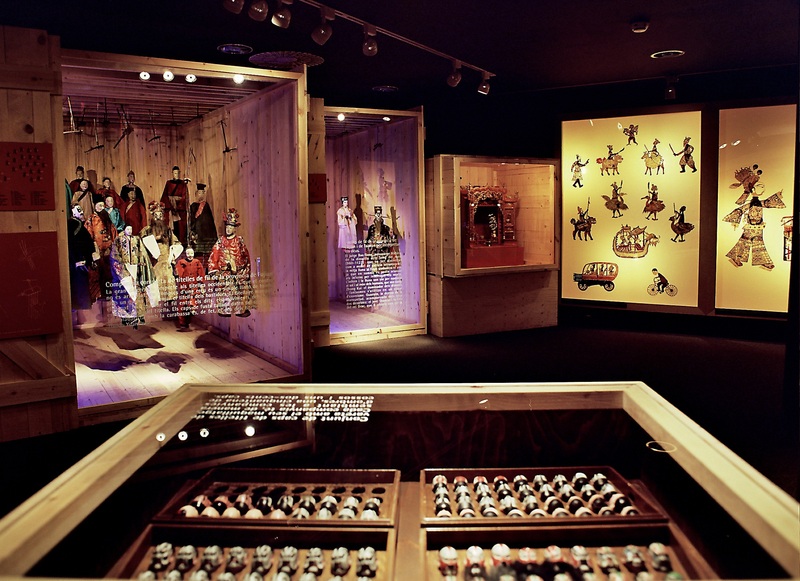 The idea was to exhibit the puppets as though they were import products from the Far East. The first floor was full of spaces that represented large boxes or containers made of pine. Each of the boxes was dedicated to a different type of puppet. 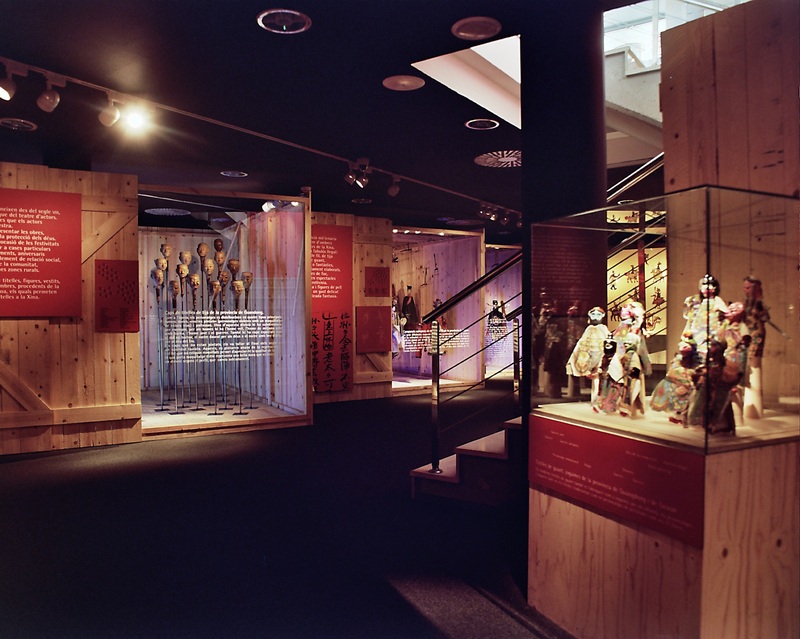 The second floor focused on narrating the traditional Chinese stories. 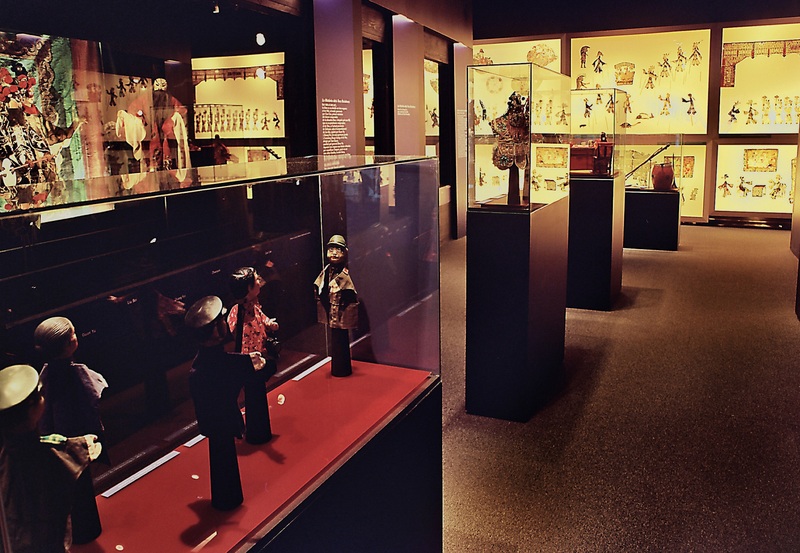 This part was designed with special care, since the puppets were made to move to represent a scene in a story, but most of the pieces were very old – some more than three centuries. So we decided to build a theatre of theatres, and a single action frozen in time was represented in each alcove. In this way, the first room was like a dressing room, and the second room was the stage.